The Jif peanut-butter maker is moving deeper into the pet-food aisle by buying the maker of Rachael Ray pet food for $1.9 bln. Premium pet-food sales are growing fast, but the modest returns on this high-priced deal may not justify the debt. Smucker may find itself on a PB&J diet. 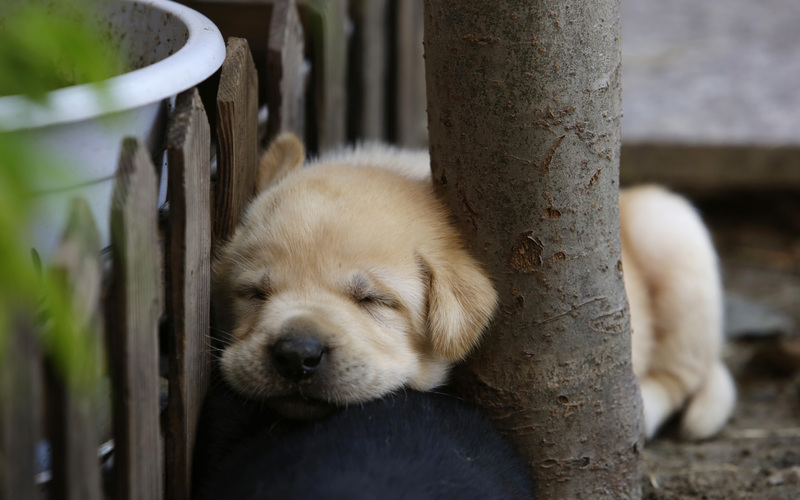 A 29-day-old Labrador puppy sleeps against a tree at a courtyard in Beijing August 10, 2014. On April 4, J.M. Smucker agreed to buy Ainsworth Pet Nutrition, maker of the Rachael Ray Nutrish brand, for approximately $1.9 billion in cash. The company expects a tax benefit of $200 million on the deal, and will fund the purchase with debt. It said it expects to generate annual cost synergies of $55 million within three years. Smucker also said it was exploring options, including a potential sale, for its U.S. baking business, which includes brands like Hungry Jack and Pillsbury. The company said it will focus on growing its coffee, pet and snack-food businesses.